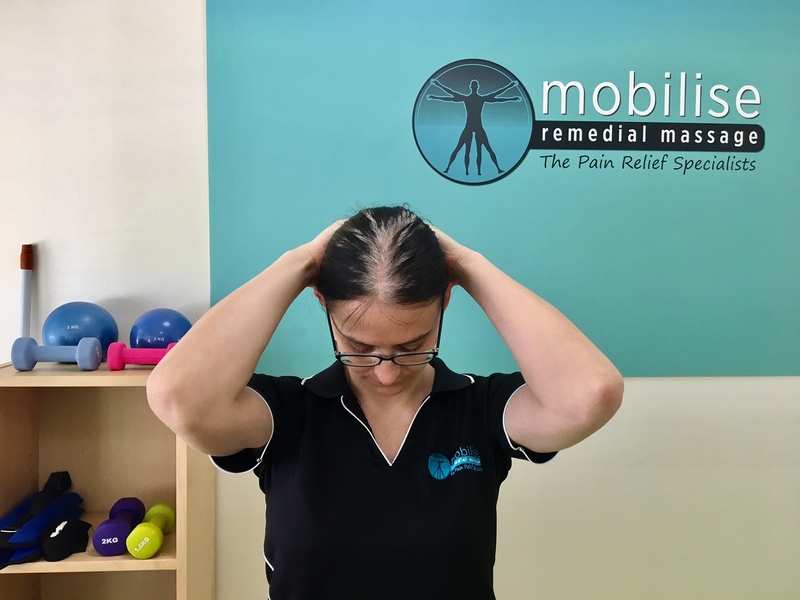 At Mobilise, we have experienced and knowledgable Myotherapists who can assess and treat the musculoskeletal causes of chronic migraine and headaches through safe, hands-on treatments. Migraines and headaches are one of the most common chronic pain conditions suffered in Australia. The causes for migraine and headache can be varied and complex, and frequently involves the cervical spine and surrounding musculature. There are many parts of the neck that can cause pain referral into the head, including nerves, joints and muscles – and identifying which of these structures are affected and why, is what Myotherapists use to create the most effective treatment for your particular circumstances. Myotherapy is an effective form of treatment for migraine and headaches, through the use of massage techniques, joint mobilisation techniques, gentle facilitated stretching, and other techniques such as trigger point therapy and dry needling. Our Bachelor Degree qualified therapists are expertly trained assess the causes behind your migraine/headache, and will develop a management plan for you. This plan can include treatments, home rehabilitation, ergonomic or activity modification, and exercise and postural advice. Our aim is to stop your headaches once and for all, so you can be pain free every day! Don’t suffer the pain and debilitation of migraine or chronic headaches any longer. How can Myotherapy and Massage help treat Migraine and Headaches? Isolating the musculoskeletal causes and contributors to the headache, through a thorough orthopaedic and ergonomic assessment. Using techniques such as massage, trigger point therapy, joint and neural mobilisations and other advanced hands-on treatments to address your pain. Looking at contributing factors such as poor posture, muscle imbalances, previous injury, medical history, lifestyle and activity levels; and creating a home rehabilitation program for you to manage the issue. Assessing your prognosis and creating a treatment plan to ensure you get the best out of a Myotherapy course of treatment. Massage and Myotherapy can be a highly effective method of treatment for sufferers of chronic headaches or migraines. If you suffer from either of these conditions and your regular treatment is not working, it may be a good idea to get in touch with our staff to give myotherapy a try. Please call (07) 3870 5990 or send us a message on our contact page detailing the condition you require treatment for, and we will get back to you with all the information you require.